A collection of Toyota hybrids from around the world. When it comes to innovation, the spotlight usually shines on the high-tech world of Silicon Valley; automotive manufacturers, by comparison, are generally seen as technological dinosaurs. But a new study suggests that this conventional wisdom might need to be turned on its head. Of the 20 most innovative companies named in a new study by the Boston Consulting Group, nine are carmakers – more than both the technology and telecom list for the first time since the 2005 study was released. And the number grows substantial — adding a few breakthrough names like Tesla — when looking at the Top 50 innovators. Maker will need to fight urge to return to old ways. For the moment, at least, Ford Motor Co. officials are downplaying reports that CEO Alan Mulally will soon depart for a new job as the top executive at tech giant Microsoft – but even if the 68-year-old Mulally doesn’t head to Seattle his tenure in the Motor City is likely to come to an end relatively soon. The question is what that will mean for Ford, the only Detroit automaker to avoid bankruptcy – and a subsequent federal bailout. What worries many observers is the possibility the second-largest domestic maker will return to the bad old ways that Mulally set out to change when he came onboard in late 2006. 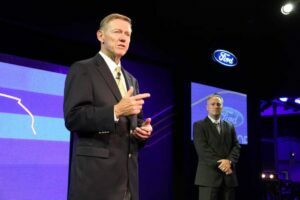 “There is no change to what we announced in November,” Ford’s new Chief Operating Officer Mark Fields said when asked about the flurry of reports linking Mulally to Boeing. Ford’s CEO previously worked in Seattle where he was one of the top executives at aircraft maker Boeing, and he retains strong ties to that community. But were he to return, Mulally might instead step into the shoes of Steve Ballmer, the controversial Microsoft chief who last month said he would step down within the next year, setting off speculation about who might replace him. Luxury version of Ford Escape moves closer to production. 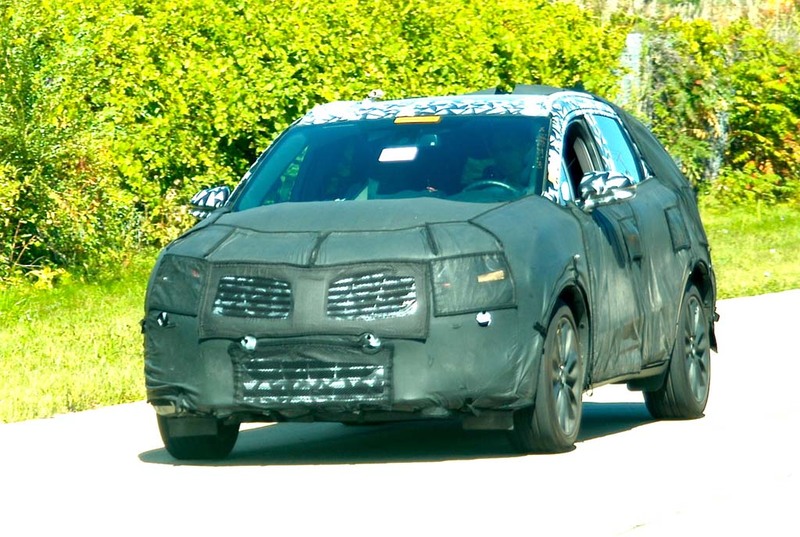 A prototype Lincoln MKC caught while testing. All photos courtesy Jim Dunne /CAR SPY. In its bid to once again be taken seriously in the luxury market, Ford Motor Co. has outlined a plan to launch four critical new models by mid-decade – with a number of other offerings to follow. The first of those, the MKZ sedan, got off to a rocky start but is finally gaining traction – just as the spotlight shifts to the next key product in the Lincoln strategy. We got a first look at the marque’s planned compact crossover during the 2013 Detroit Auto Show. Now, TheDetroitBureau.com’s veteran spy, Jim Dunne, has captured images of the small CUV undergoing testing around Detroit. Due to reach market for the 2015 model-year – which means an introduction in mid-2014 – the Lincoln MKC will be based upon the same basic platform as the latest-generation Ford Escape. And, as you might recall, Escape migrated from a traditional body-on-frame to a crossover platform when it was relaunched for the 2013 model-year. Many dealers also adding stiff premium to price tag. You could be in for a long wait for the new 2014 Corvette Stingray, Chevy warns. Even as dealers begin delivering the first of the new 2014 Chevrolet Corvette Stingrays to customers, many buyers could be in for a long wait, General Motors officials are warning – and a potentially stiff premium. The new Corvette continues to garner a wave of strongly positive reviews, while buyers also appear to be strongly attracted to a $51,995 base price that is significantly lower than key competitors, such as the Porsche 911. But many dealers are acknowledging that early customers are ponying up anywhere from $5,000 to $20,000 extra to jump to the head of the line. “We probably have six months’ worth of orders,” said Chevrolet General Marketing Manager Chris Perry, adding that some dealers have already reported selling out their initial allocation. And Chevy won’t even begin to fill the order bank for the new Corvette Convertible until early next year. But industry is still running ahead of early-2013 forecasts. By a fluke of the calendar, Labor Day sales wound up in the August column this year. Are the cool days of autumn coming faster than anticipated? Preliminary numbers suggest that the automotive sales boom, at least, is cooling down after a torrid summer that took almost everyone by surprise. Though the industry won’t release final numbers until next week, the sales pace has clearly slowed during September, according to reports from both manufacturers and analysts alike. The seasonally adjusted annual rate of sales, or SAAR, is projected to fall from a hot 16.1 million units in August to something closer to 15.2 million this month. “September 2013 new-vehicle sales represent the first year-over-year drop since May 2011, due to slower retail sales, two fewer sales days in the month, and this year’s Labor Day sales included in August 2013 totals,” said Alec Gutierrez, senior analyst at Kelley Blue Book. On the positive side, the summer surge means that 2013 is still likely to be the industry’s best year since before the nation’s economy collapsed – and sales seem on track to surpass the forecasts most experts made early in 2013 which called for volume to slide somewhere between 15.0 and 15.5 million. Livio began building Internet radios but shifted to in-car connectivity. Ford has purchased Detroit software house Livio to help it expand the number of apps it can offer in-car. Ford Motor Co. has alternately won praise for its high-tech Sync infotainment system and been slammed for the problems with its MyFordTouch touchscreen interface. But even as the maker struggles to resolve some of those problems it has taken a big step forward in its push to give motorists access to a wide range of smartphone apps and features. The Detroit maker has acquired a small suburban Detroit start-up called Livio for $10 million with an eye towards making it simpler to link Sync with motorists’ smartphones. The goal is to come up with an industry standard for connecting those devices. Curiously, Livio’s first big automaker client was Ford’s cross-town rival General Motors, which recently turned to the small, high-tech firm for help with the infotainment systems on its downsized Chevrolet Spark and Sonic models. 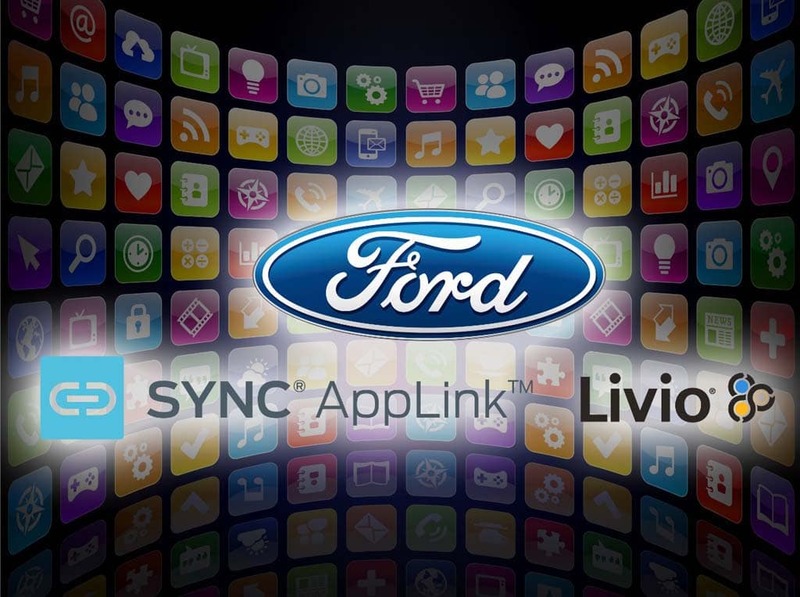 “With the additional expertise Livio provides us, Ford intends to continue to lead the next generation of in-car connectivity with technology advancements that give consumers more options to access their devices on the go,” said Paul Mascarenas, chief technical officer and vice president, Ford Research and Innovation, in a statement. 2014 heavy-duty models have highest payload, towing ratings. GM introduced its new heavy-duty truck line-up, including the Chevy Silverado 2500, at the Texas State Fair. The Texas-sized shoot out over what heavy-duty truck is the best continued as General Motors showed off its 2015 Chevrolet Silverado HD and GMC Sierra Denali HD in time for the official opening to the Texas State Fair. Ford previewed its 2015 King Ranch edition F-450 and a new 6.7-liter V8 Power Stroke turbocharged diesel at the Texas State Fair earlier this week. Insurance Institute rates the best collision avoidance systems. The Volvo S60 is one of seven cars to earn a "Superior" rating in the new test of collision avoidance systems. While you’ll have to wait until at least the end of the decade before the first autonomous cars come to market, a large number of 2014 models are already being equipped with technologies designed to help motorists avoid impending collisions – or at least reduce the chance of death or injury if one occurs. They go by a variety of different names, from Volvo’s City Safety to the Mercedes-Benz Distronic Plus, and all use cameras, laser, radar or sonar sensors to key on eye on traffic ahead – some systems even able to react to pedestrians and large animals. And since they don’t blink and won’t get distracted by an incoming phone call or kids in the back seat, these collision avoidance systems often can react faster than a motorist can to a potential problem. But which are the best? That’s what the folks at the Insurance Institute for Highway Safety set out to determine. The IIHS is best known for its crash testing, issuing its own ratings and often stepping out ahead of federal regulators with new test standards. This time, however, the industry trade group wanted to know what systems were, indeed, most effective at avoiding those crashes. And the IIHS says it found seven models that proved particularly effective at avoiding – or at least reducing the effects of – a frontal collision. Shifter problem can cause vehicle rollaways. 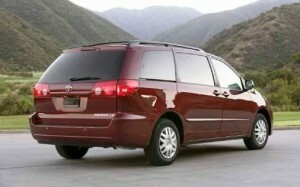 One of the Sienna minivans covered by the third major Toyota recall this month. Toyota will recall 694,000 older Sienna minvans due to a problem with the shift lever that could result in unexpected rollaways. Keep on Top with a Free Subscription! 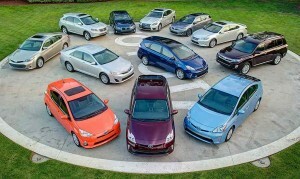 The problem involves Toyota Siennas produced at the maker’s plant in Indiana and sold from model-years 2004 to 2005 and from 2007 to 2009. The vast majority of the vehicles – 615,000 in all – were sold in the United States. Another 56,000 went to Canada, with a small number also sold in Mexico, Germany and Guatemala. 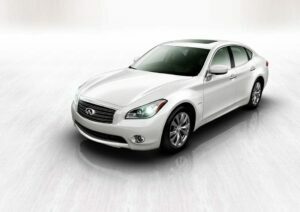 Most models sold in Japan, but 100,000 luxury cars shipped to US. Nissan Motor Co. is recalling more than 900,000 vehicles due to a problem with defective accelerator sensors used in a wide range of models that could cause their engines to stall unexpectedly. The vast majority of the vehicles covered by the recall were produced for the Japanese export market, though some were shipped to other regions of the world. That includes the United States, were nearly 100,000 of the products are being targeted for repair, most of them sold through the Infiniti brand. A News Source Worth Sharing! According to Nissan, the sensor used to detect the way the throttle pedal is being depressed can become unstable. That can lead the vehicle to accelerate less aggressively than a motorist might intend – and, in some circumstances, it can cause the vehicle to stop or even stall out entirely.